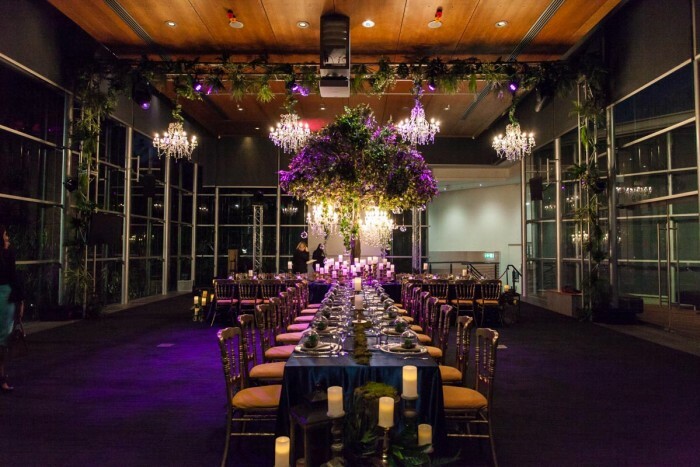 The Gardens Theatre Foyer is a modern function venue featuring state of the art facilities and spectacular views of the Botanic Gardens. 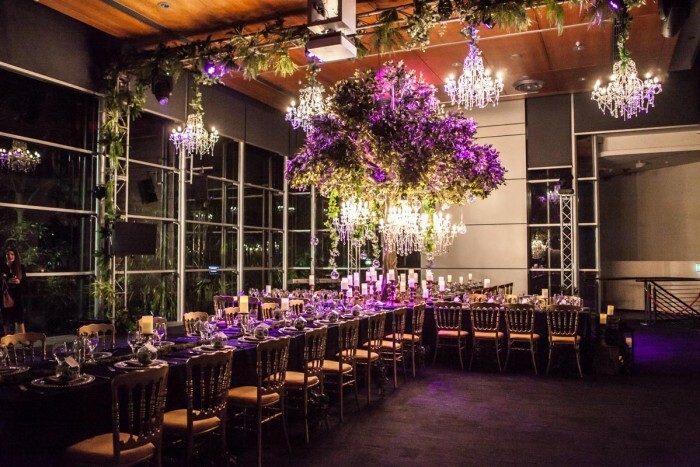 Surrounded by glass this naturally lit space offers functionality as well as style, equipped with catering facilities and the latest in audio-visual technology. 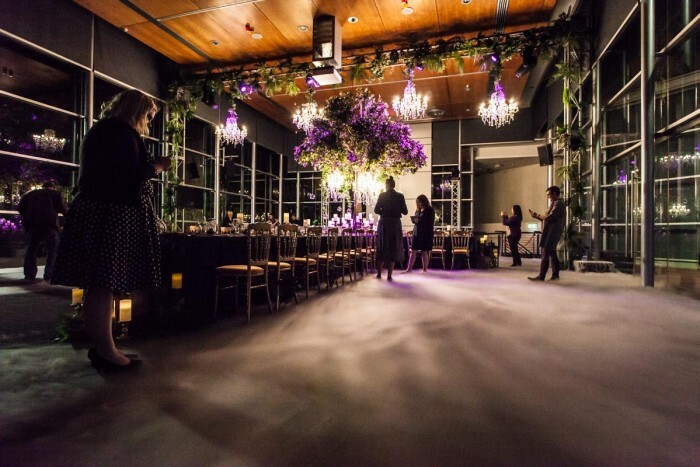 This flexible event space is well suited to cocktail parties and sit down events with enough space for 350 or banquet style seating, for 110 people. 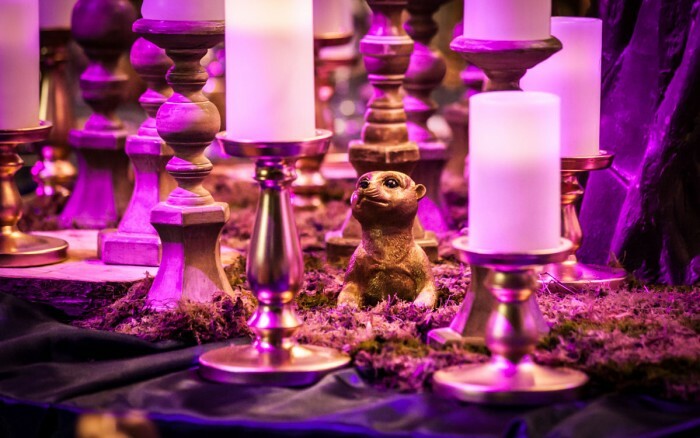 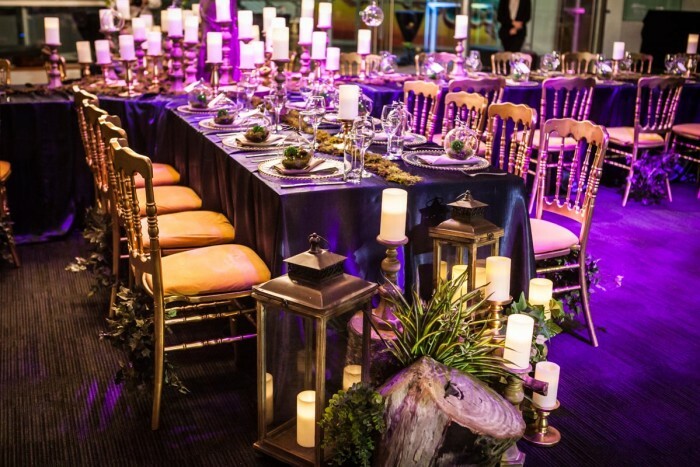 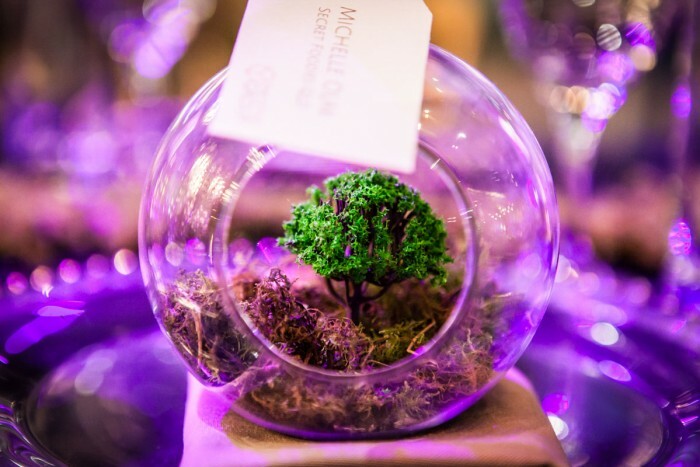 The Styled Group crafted the event with a range of specialised décor. 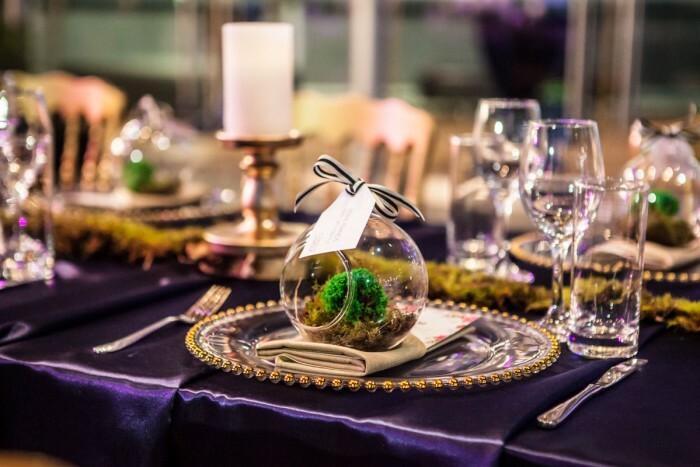 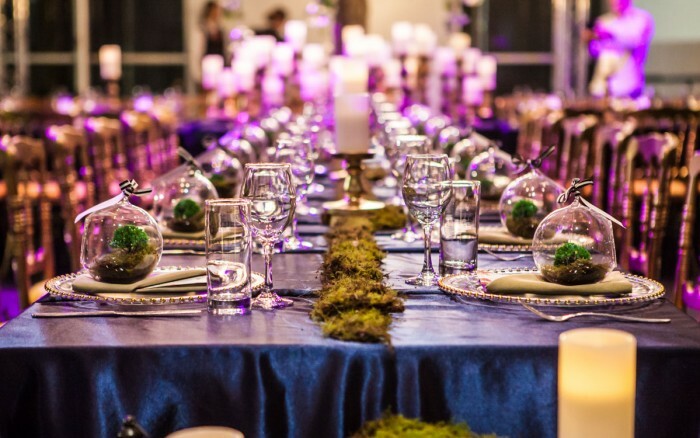 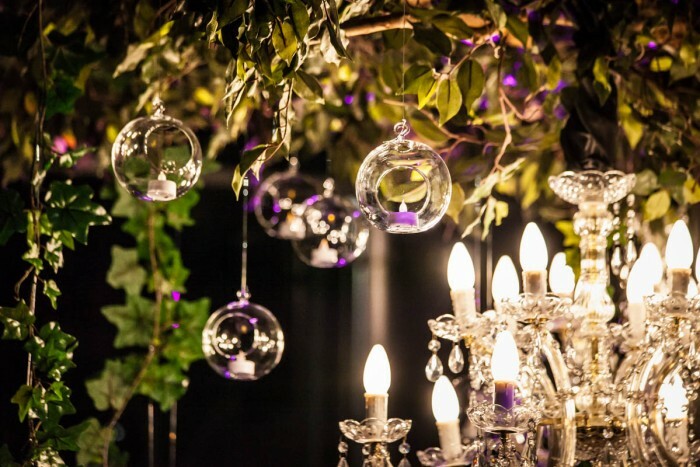 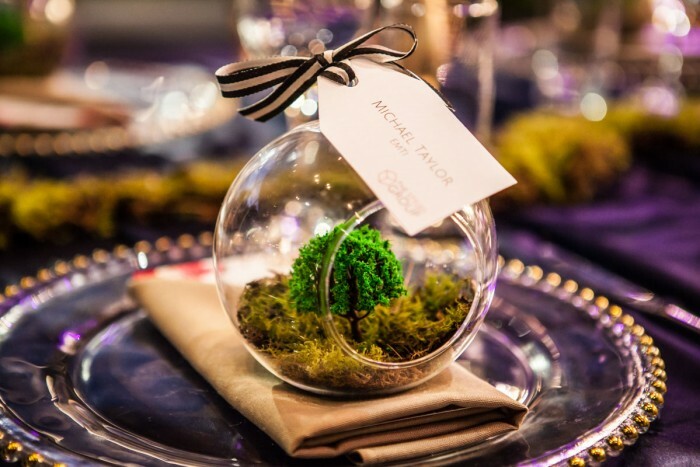 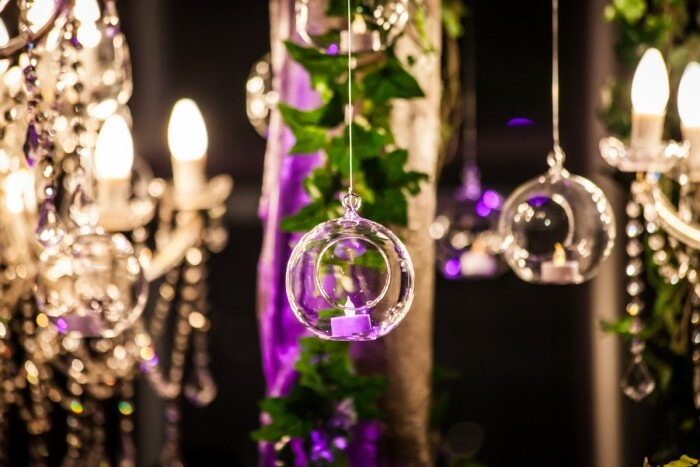 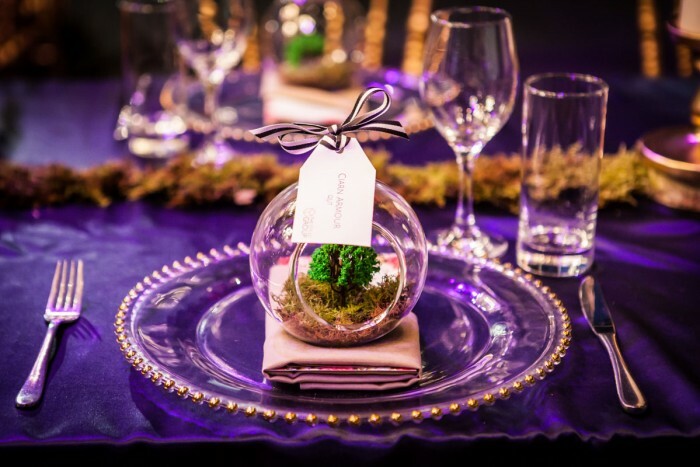 From the forest tree lying at the heart of the dining table, to the individual terrariums set at guests’ places and the dry ice that coated the floor in a mystical fog, the table was set for a dinner like no other. 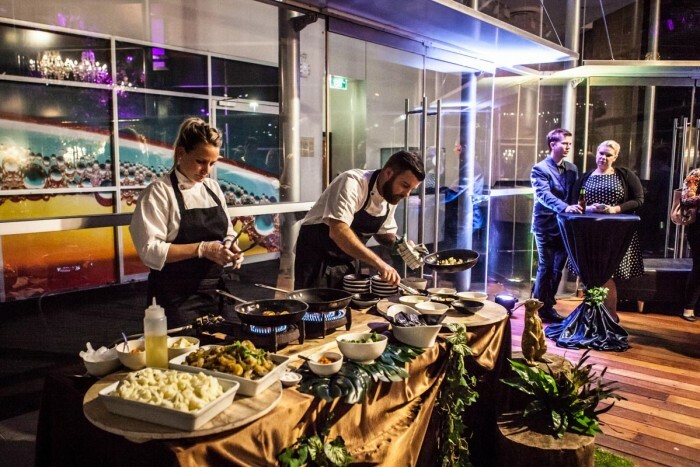 Cuisine on Cue staff welcomed guests onto the theatre’s atrium, where a live cooking station lit up the evening. 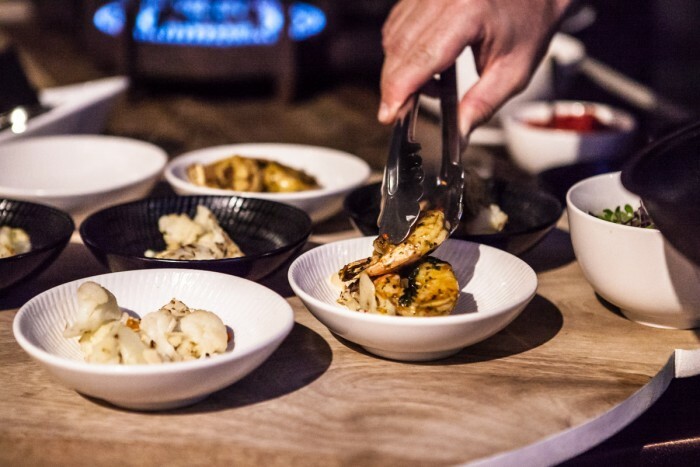 Chermoula marinated prawns and cauliflower were tossed with grated turmeric, chilli, flaked almonds and purple baby basil, and pan fried before the crowd. 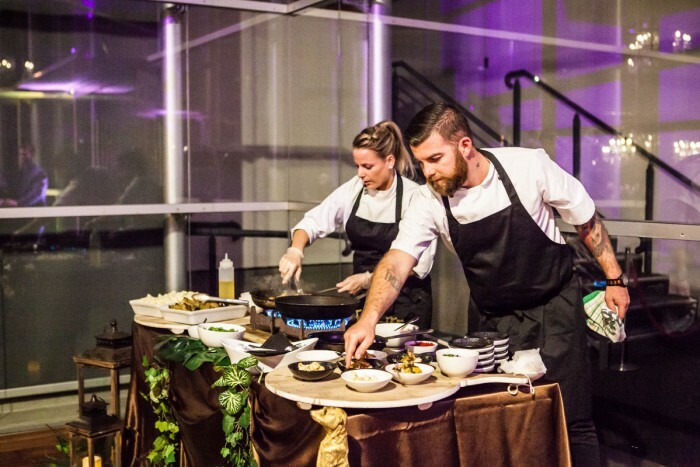 The live demonstration engaged guests in the staff’s cooking talents before diving into the night’s entrée. 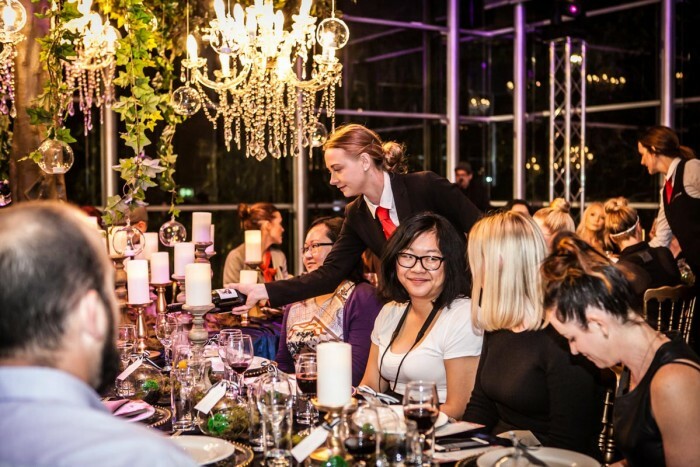 After entrees and drinks were enjoyed in a cocktail setting, staff invited guests to take their seats at the dining table. 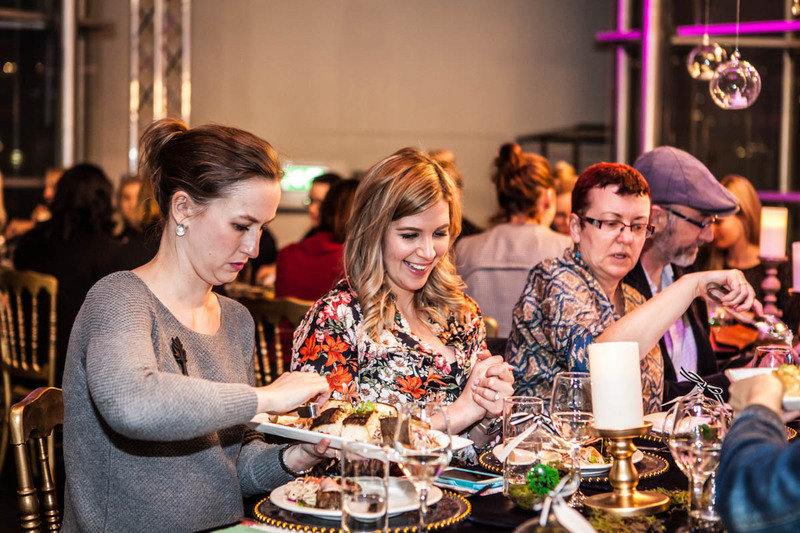 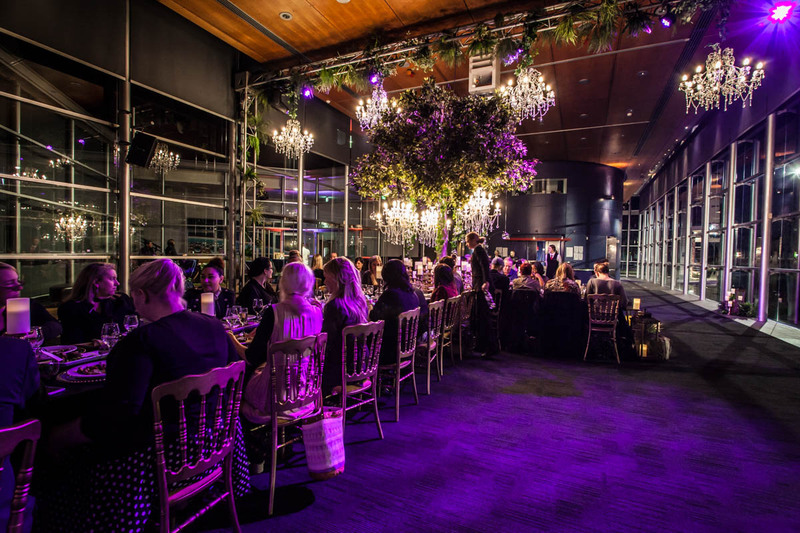 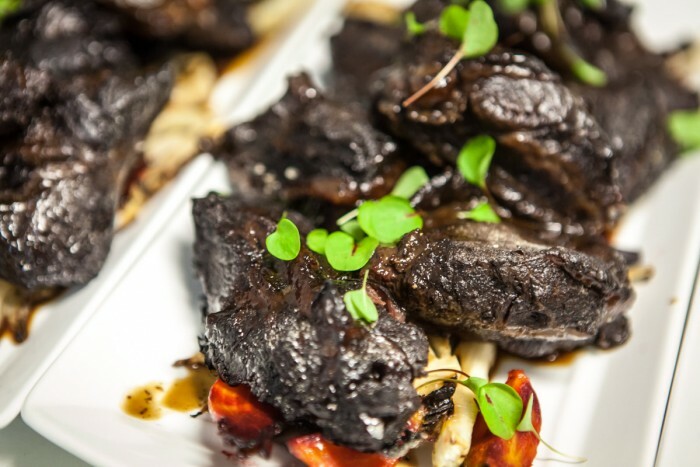 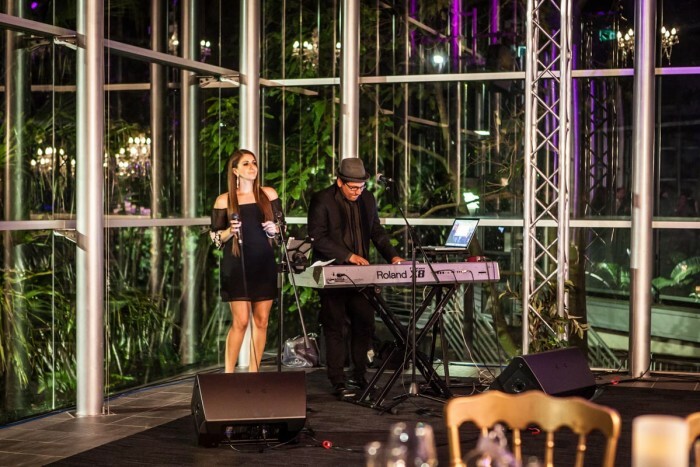 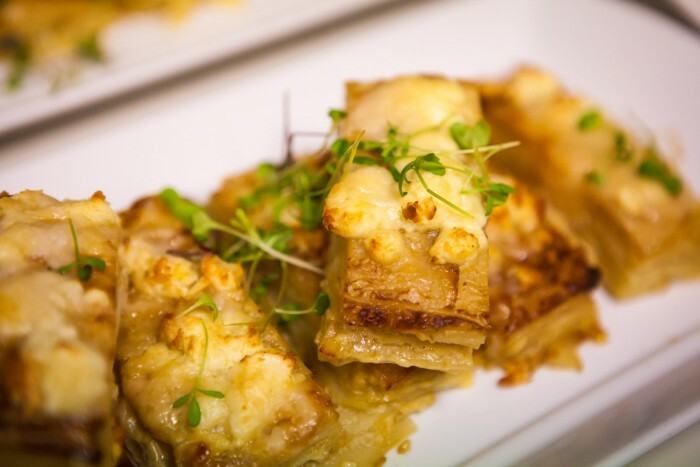 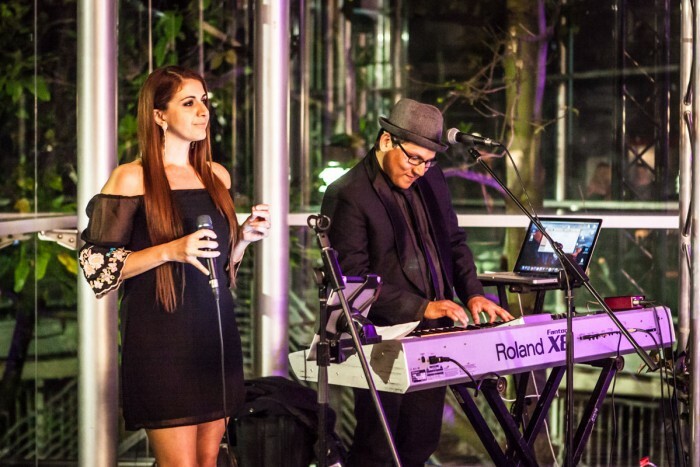 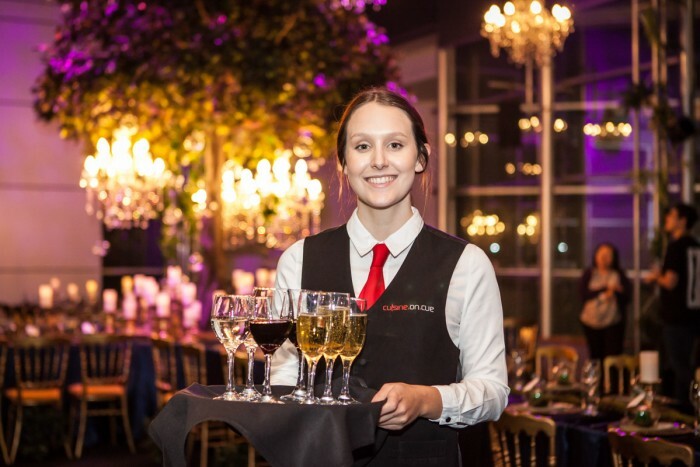 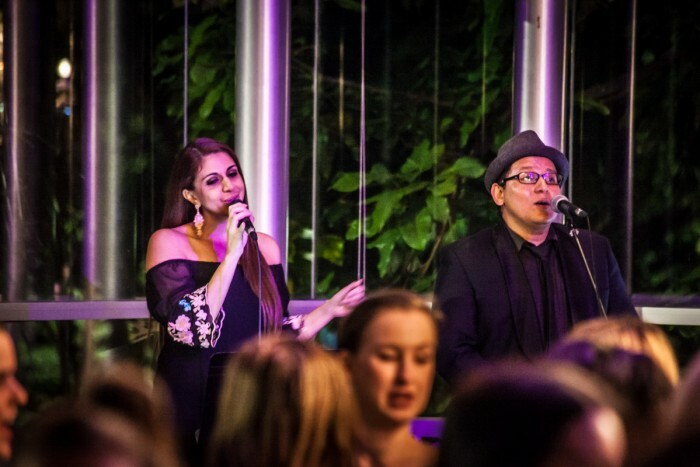 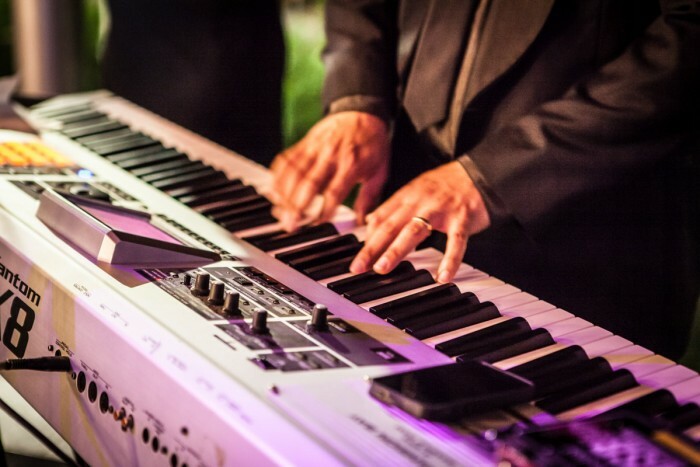 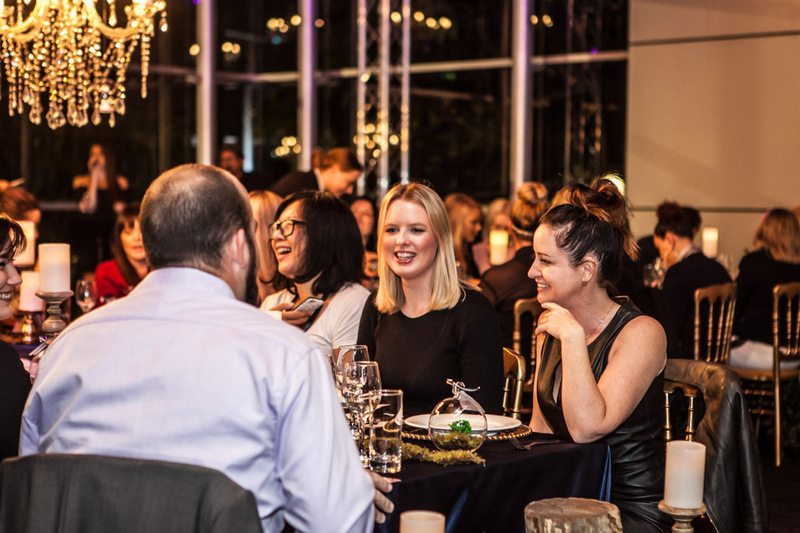 As Cuisine on Cue staff brought out the main banquet – a range of share plates for guests to indulge in at their leisure – RUSH Entertainment’s organised musical talent, Libertine, enthralled diners with a captivating performance. 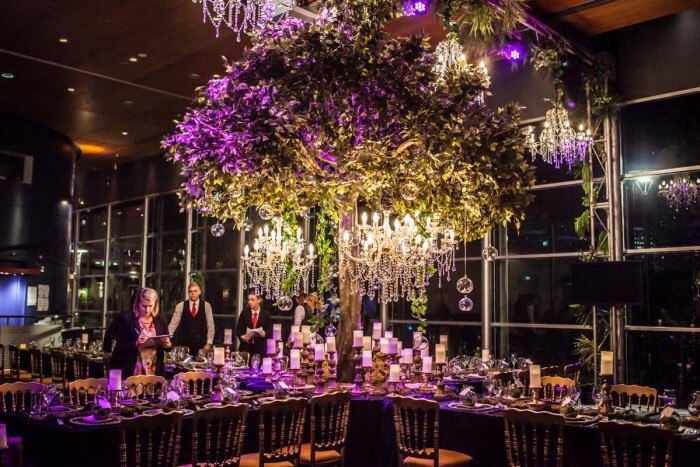 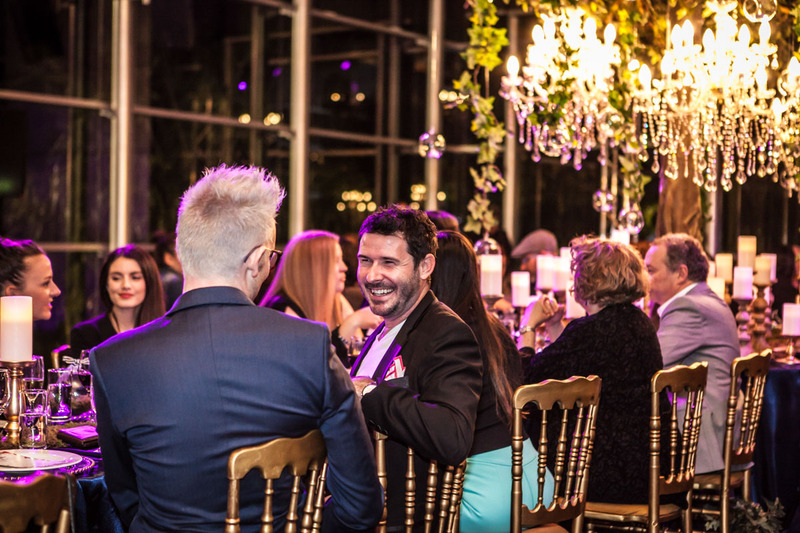 With matched wines and intimate table settings, guests tucked in to the Enchanting Garden’s main event. 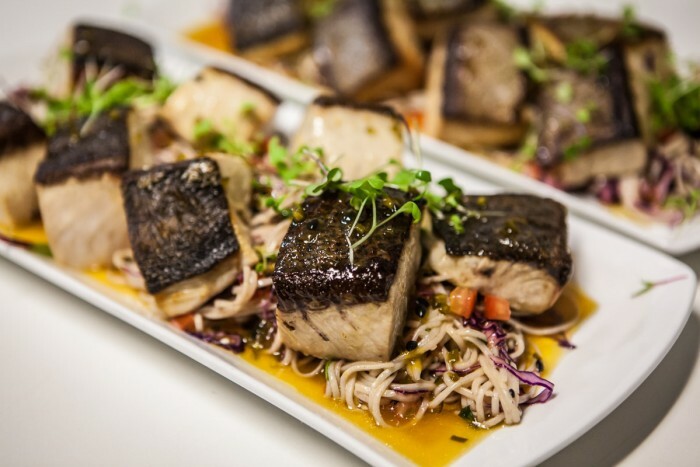 Tables bore plates of yellowtail kingfish on a soba noodle salad with a warm passionfruit vinaigrette, sarsaparilla beef cheek with grilled fennel and roasted beets, warm confit duck terrine with spiced rum raisins, cress and pollen, heirloom potato salad with goat’s curd, kale crisps and leatherwood honey, and potato and celeriac bake topped with feta and grana padano. 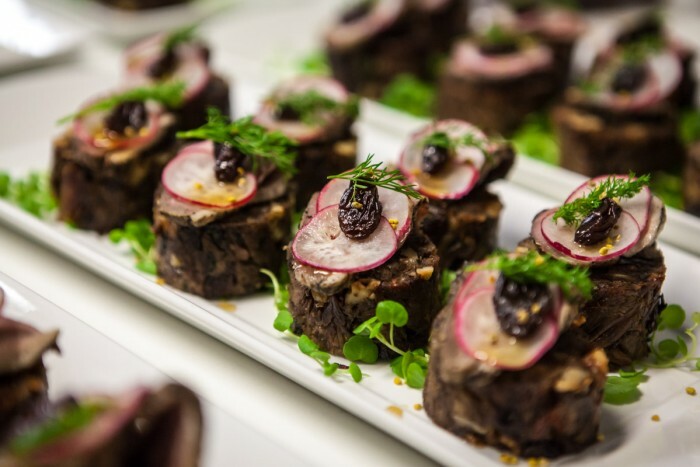 But this wasn’t all that Cuisine on Cue had in store for guests to the Enchanted Garden. 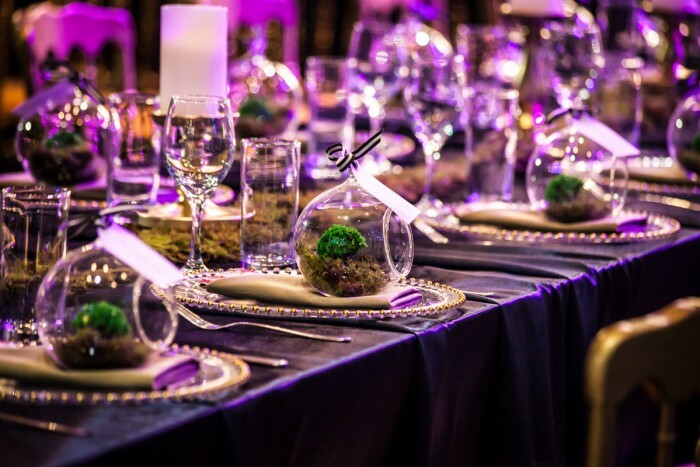 Diners took home dessert gift bags of dark chocolate marquise with popcorn toffee, a choc chip base and a pistachio crust. 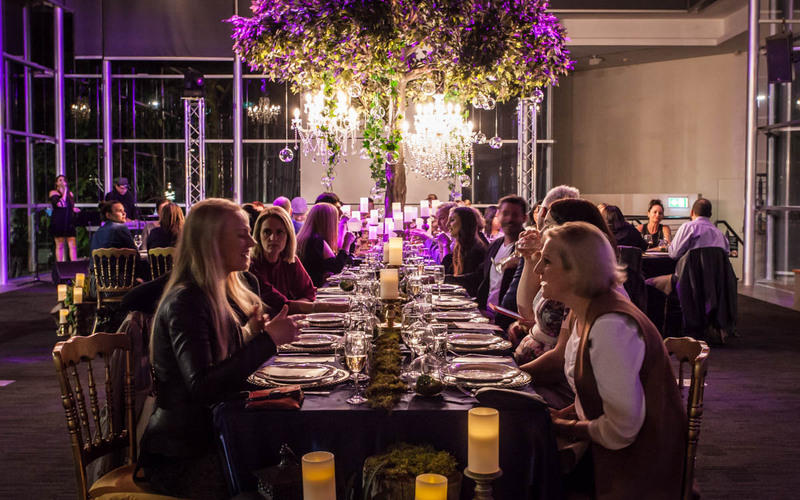 This spectacular evening was a showcase of our dedication to creativity and adaptability. 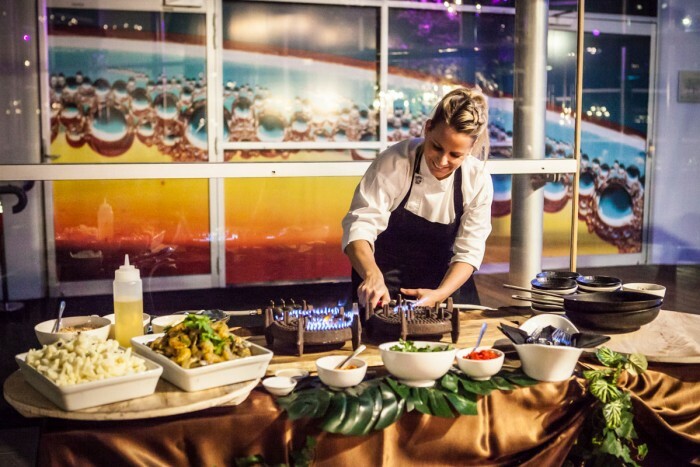 If you have a themed function in the works, contact our catering company for an event that exceeds expectations.